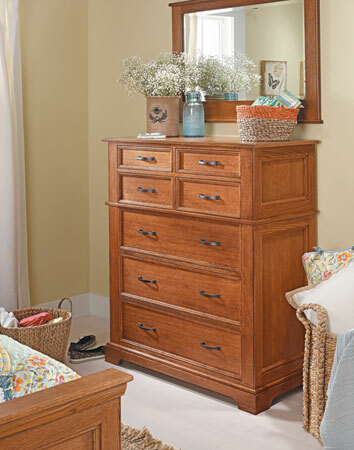 This great-looking dresser features basic plywood construction and contrasting colors, adding style and storage to your bedroom. 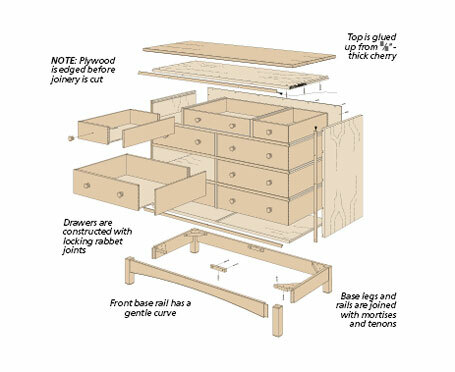 With its clean lines and straightforward joinery, this dresser has a classic look, and it’s easy to build. 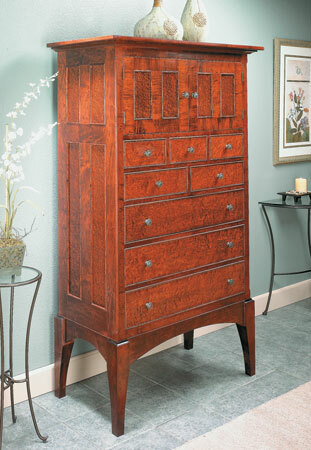 It’s a great addition to any bedroom. 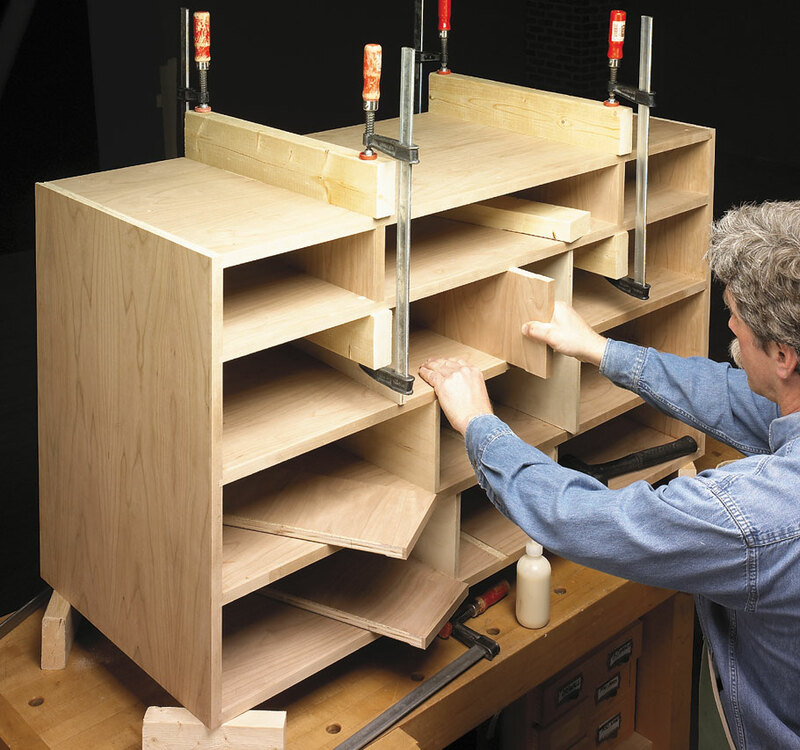 11 pages of step-by-step instructions. More than 40 full-color photos and illustrations. 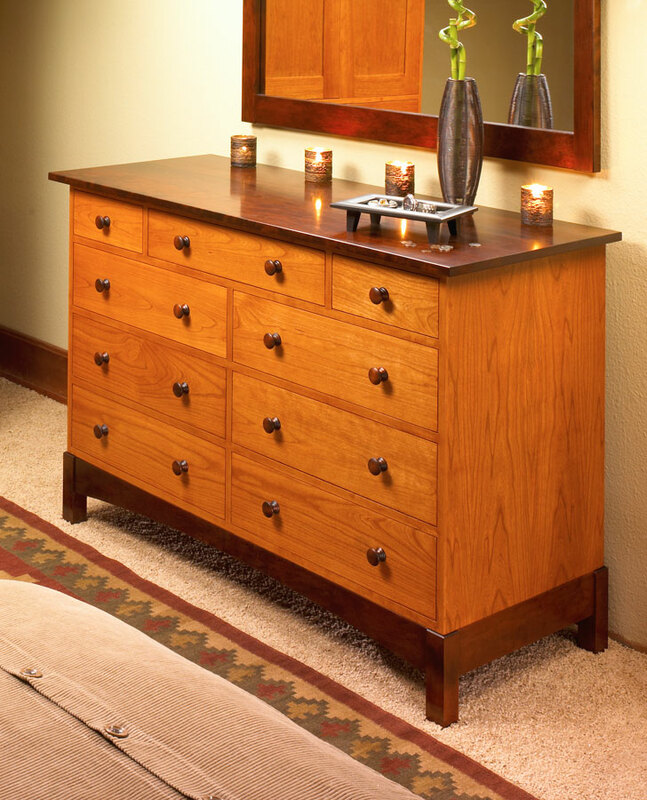 Design options to change the top and base for a more traditional look. 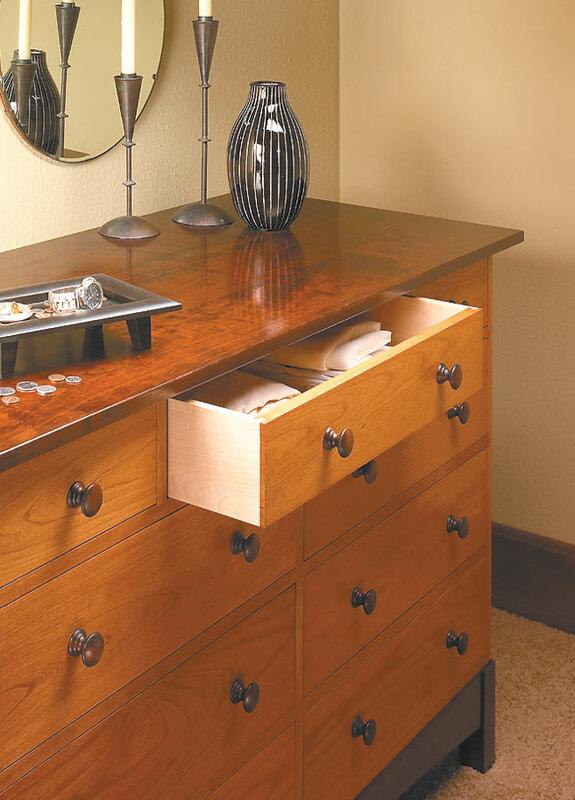 Despite all the attractive detail, this roomy chest of drawers will go together with an absolute minimum of fuss. 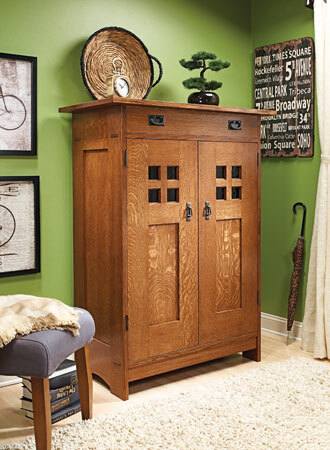 Quartersawn white oak and Craftsman design elements combine to create this handsome addition to any room’s décor.